It's been a while since we had "visitors". As curious creatures living in this world we call Earth, we often wonder if other beings exist in other parts of the universe. In case you didn’t know – either you’ve been living under a rock this whole time or you’re just plain naïve – this planet we live in is only a tiny speck in the entire galaxy. We don’t even need to talk about the size of humans in comparison. But speaking of other-worldly beings, alien talk has been going on for decades and centuries because to some people, it is extremely hard to believe the fact that there is no other living species throughout the universe besides the ones here on Earth. For the fun of it, here are some sightings of unidentified flying objects (UFO) reported around Asia in the last decade or so. We picked the juiciest ones to make you question more whether aliens do exist. 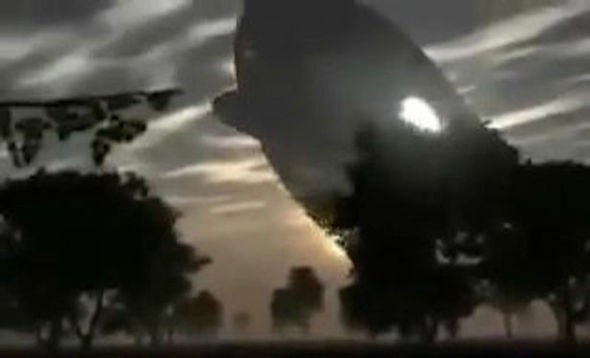 In 2007, a strange incident was recorded in Kolkata where a UFO was reportedly spotted in the skies in the wee hours of the morning. 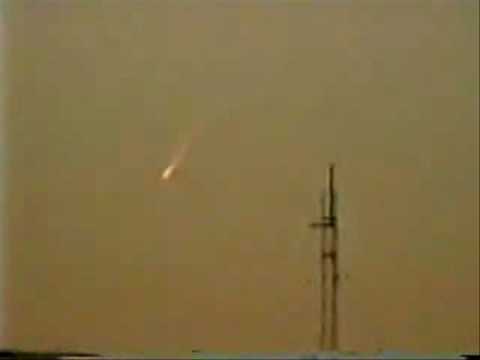 There was a fast-moving object, some noted it as a fireball, appeared between 3.30am and 6.30am near the E.M. Bypass. Hundreds of residents and motorists in the area started crowding around the area to catch a glimpse of it on camera. What triggered the people’s curiosity even more was the fact the unidentified object could change shapes. According to The Times of India, the mysterious entity reportedly shifted from a sphere to a triangle, then to a straight line, while radiating a bright light that formed a halo in different colours. The video footage was so bizarre that it made air-time on a local news network. The director of MP Birla Planetarium in Kolkata agreed that the phenomenon was “extremely interesting and strange”. But he, along with other local astrophysicists, related the sighting to the planet Venus instead. Back in 2007, a local news network Fars News Agency (FNA) reported a crash in the Barez Mountains of Kerman. Apparently, this was no regular crash because eyewitnesses saw that it was a UFO that had gone down in the morning. Naturally, debates began to follow. According to the Deputy General of the Kerman province, Abulghassem Nasrollahi, all aircrafts in the vicinity were accounted for. So, it definitely wasn’t a plane! However, he also noted the possibility that it could have been a meteor. The network also reported another source stating that the foreign object was on fire with thick smoke spiraling from it, which could fit the theory of it being a meteor since they tend to appear as fireballs in the sky. In fact, a similar incident was reported by witnesses in Rafsanjan few days before this particular crash in the mountains. Over the course of several months, crashes like this were reported quite frequently across Iran. But the authorities noted that the “UFOs” could either by spy planes or hi-tech espionage device. This became a period of “UFO fever” in Iron with dozens of sightings around the country. Nevertheless, no conclusion was successfully drawn as to what the crash was all about. But hey, you can choose to believe what you want to believe. When unidentified objects start flying around airports, that’s when people get a little worried because you don’t want anything disrupting the pilot who’s flying the airplane you’re sitting in. This was exactly what took place at the Xiaoshan International Airport in Hangzhou in 2010. The UFO scare forced authorities to shut down the airport for an hour to investigate. So what happened was that a flight crew that was preparing for descent at around 8.40pm spotted the strange object hovering over the airport. After notifying the air traffic control department about the unusual sighting, aviation authorities closed the airport, thus affecting quite a number of outbound and inbound flights. According to ABC News, locals had circulated photos of the object radiating in golden light with a tail that looked like a comet. Hours before the shutdown, some residents also reported that they saw a flying object emitting red and white rays of light. 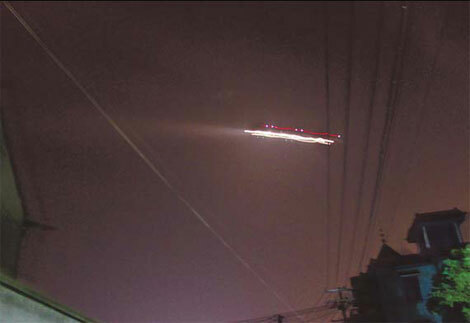 However, Hangzhou meteorological authorities were quick to shoot down this UFO rumour and noted that the sightings by locals and the one at the airport were unrelated. China Daily reported that they had already discovered the identity of the UFO but they couldn’t reveal the details due to “military connection”. Alleged photos of the sighting exploded online and appeared on several news channels as well, but to no avail. Looks like we’re going to need better evidence than that! Japan hasn’t always been known as a popular spot of alien activity for some reason. Is it because they fear the Land of the Rising Sun, Samurais and Yakuzas? Well, that was until the island of Kyushu. 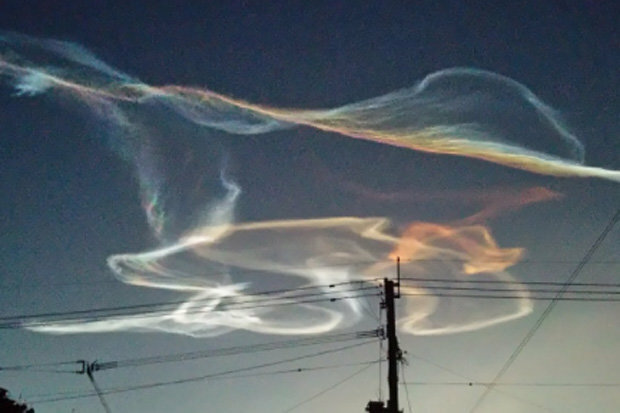 Last year, Kyushu residents posted pictures of thin, swirling clouds that radiated light on social media. Some people noted that it looked like a colourful haze of smoke in the sky. When you think about it, it sure doesn’t sound very much alien-like, does it? Any aircraft could give off light behind the clouds. But to the island locals, this was an unusual sight. These swirls of thin clouds were known to conspiracy theorists a chemtrails, as in remnants left over in the sky by planes that come with more classified purposes. According to a report by Express, this occurrence actually coincided with the Epsilon-3 Rocket launch, which took place in the Uchinoura Space Center in Kagoshima Prefecture early in the morning. 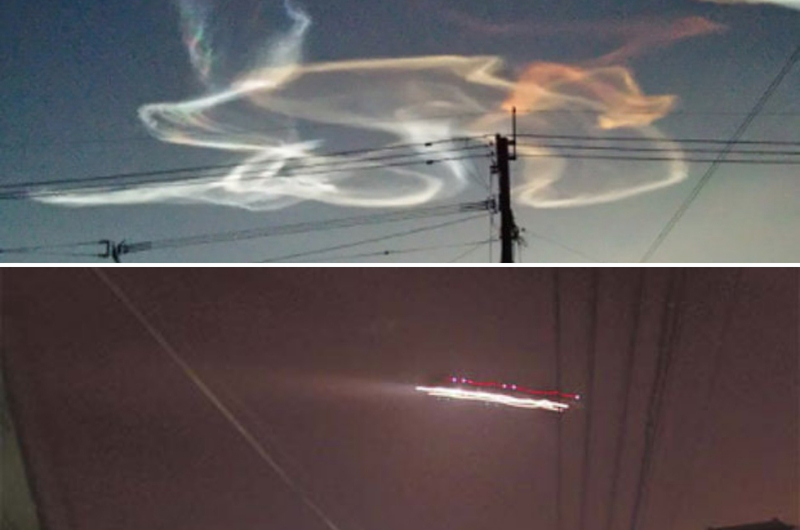 So, the strange colourful lights seen by residents could be due to the early morning moisture lingering in the air that was reacting to the rocket’s fumes. Now, back in our home country, we don’t hear about alien sightings very often. But when we do, it gets 100 times more exciting/creepy – depends how you perceive the situation and how much you believe in UFOs. Back in 2016, a bizarre UFO phenomenon took place at a remote village in Kuala Krai. A spaceship-like object was seen circulating above the village, frightening the locals in every way possible. Apparently, blinding white light had emitting in a circle from the centre of the disc, making it look like the giant spaceships we normally see in Hollywood movies. The villagers manage to capture the sighting on camera before the unidentified object disappeared from plain slight in a blink of an eye. However, the viral video was also shot down by local authorities who called the sighting “rubbish”, as reported by The Star. According to Ahmad Jamaludin, a Malaysian UFO researcher who self-published a book titled UFO Reports in Southeast Asia (1800-1996) in 1997, he believes there were UFO sightings in the region from hundreds of years ago that were most likely undocumented because people simply didn’t understand the concept of extra-terrestrial. “In Malaysia, there is folklore that speaks about tiny people only eight centimetres tall. It was only after I started compiling all the UFO cases that I realised they could be referring to aliens,” he said, as quoted by Southeast Asia Globe. Having said that, whether or not you believe in aliens, it is entirely up to you. As for UFO enthusiasts out there who enjoy exploring the whole idea of extra-terrestrial beings, you may enjoy Project Blue Book. Project Blue Book is a new series based on real, top secret investigations on UFOs as well as related phenomena conducted by the United States Air Force from 1952 to 1969. Dr. J. Allen Hynek (Aidan Gillen), a brilliant yet underappreciated college professor, gets recruited by the U.S. Air Force to lead a secret operation called Project Blue Book. Along with his partner, Air Force Captain Michael Quinn (Michael Malarkey), he is summoned to investigate UFO sightings around the country and use science to discover what really happened. However, when some encounters cannot be explained and cases remain open, Hynek begins to suspect that he has been duped by the government into a larger conspiracy to cover up the truth. Set in the Cold War and rising Atomic Era, each episode will draw from the actual Project Blue Book case files, blending UFO theories with authentic historical events from one of the most mysterious eras in American history. 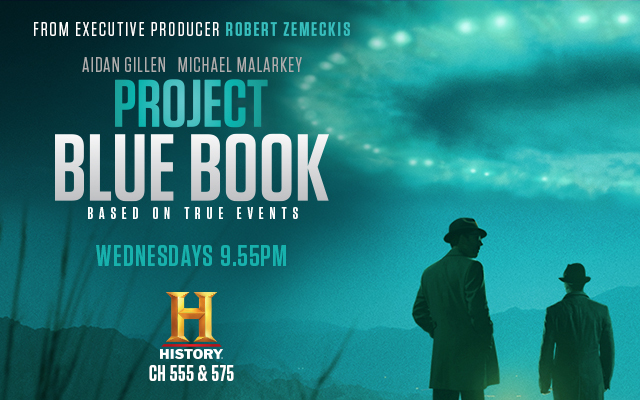 Project Blue Book airs Wednesdays on the HISTORY Channel (Astro CH555 & CH575). It is also available On Demand, in case you miss an episode.